I am the last person for this Jo's block. Only center place is left for me. It took me for days to get an idea what to do. 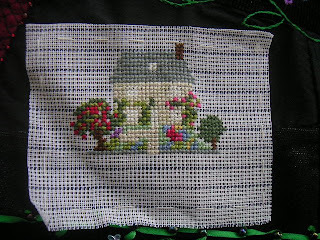 I decided to make a cross stitched cottage motif, using wasting canvas. 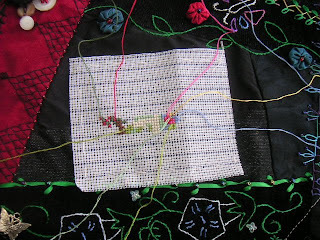 When thread has to be changed by colour, I am leaving each threads like this before last stitch. 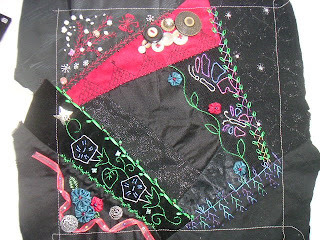 Added other stitches, my work is finished. 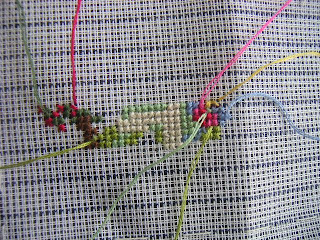 Hideko it is such a lovely addition, the little cotage in the middle makes the block very nice and cheerful. The block is beautiful! 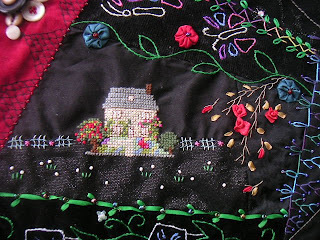 Your cottage was just what the center needed, and the lovely stitching you added completed everything so nicely. 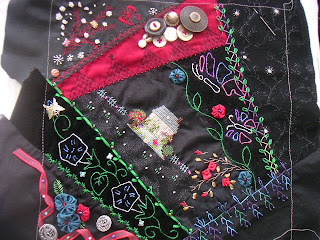 It was a beautiful block before your work Hideko, but your cottage was inspired and just the thing to bring this beautiful garden together. Love the little cottage. It was fun to watch it being "built". I just love your work. 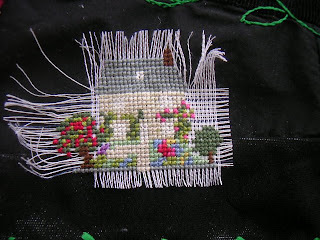 Your cottage is so cute, and it is just where it should be. Splendid!